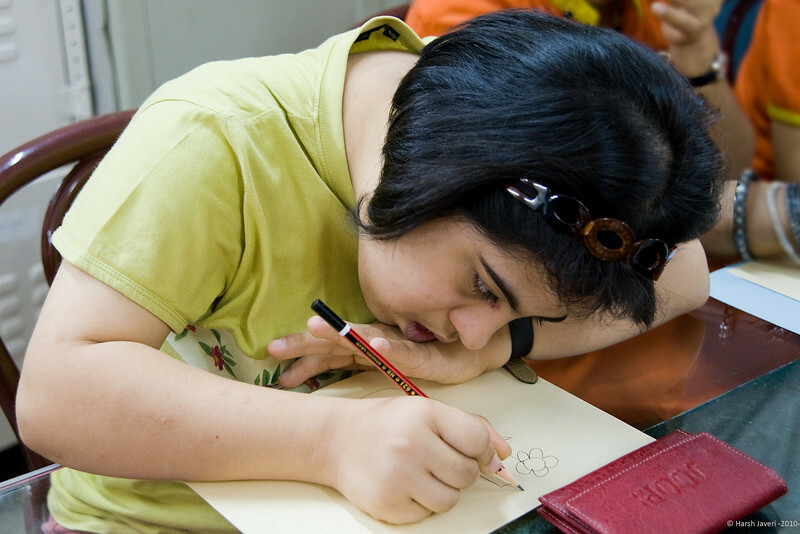 Delna recently joined OM Creation, a sheltered workshop for mentally challenged adults, where my daughter Vinati works. Hersh, is Delna your daughter or grand daughter? She's a beautiful little gilrl. Lovely capture of Delna concentrating on her work.